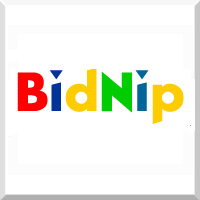 BidNip's mission is to save you money while bidding on eBay by making sniping an easy and affordable way to win auctions. BidNip was founded in 2003 by eBay expert Stephen Cook. After using a variety of different services and software for sniping, he knew there had to be an easier way, which led to the development of BidNip. Stephen has been using eBay since 1996 to find Apollo and Nasa collectibles and memorabilia, and just about everything else he can justify buying. Free trial with prices ranging from 16 to 25 cents for successful bids (No Percentage Fee).